Once all the data concerning the North African Campaign is analysed it can be clearly seen that it was the field of supplies that was the critical factor for both the Allies and the Axis powers. It was the Allied success in the Mediterranean that enabled them to land an enormous amphibious force in the Torch landings and equip the Eighth Army to defeat the Afrika Korps at El Alamein in September 1942. Supplies were the single most important factor that influenced the outcome of the North African Campaign, because they were critical to a theatre that was a considerable distance from both of the main participating nations (Germany and Britain)and had to be delivered to North Africa via the Mediterranean under the constant threat from submarine, surface and Air forces. Both the Afrika Korps and the Eighth Army both totally and constantly relied upon supplies for essential fuel and equipment ranging from tanks and guns all the way down to food and uniforms. �The Mediterranean turned into a major theatre, with a mutual battle for convoy corridors2 and the success with which Force K operated from Malta with the help of Ultra decrypts was without doubt a decisive factor in the campaign. The lack of supplies forced Rommel into switching to the offensive at Alam halfa on 30th August 1942 when tactically he would have waited longer, and this was made possible by the sacrifice made by sending supplies to Malta. 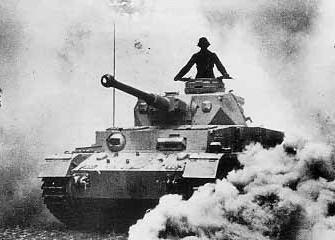 It is also important to note that Rommel was able to launch his counter offensive at Gazala, because he had received a significant number of tanks from supply convoys that successfully reached North Africa, because Force K at Malta had been neutralised by the Luftwaffe and also due to the extensive mining of the waters surrounding Malta. The seriousness with which the Axis powers regarded supplies can be fully appreciated when the Ultra decrypts are analysed and reveal that Rommel was constantly requesting more supplies and stressing that he couldn`t operate effectively without them on a frequent basis. There is also the fact that both the Axis and Allied powers had many other fronts to supply and to consider, which meant that supplies were always a very contensious issue between High Command and the Desert commanders. Therefore the North African theatre battled for status over Greece, the Eastern front and the Second front that Stalin so desperately wanted to see. When the Italians declared war on the British by attacking British Somaililand and Eritrea then moving their forces into Egypt from Libya, the British force was far to small and scattered to enable an effective defence and counter offensive. The Italians had numerous successes and managed to reach the Egyptian border, but when the British sent reinforcements and Operation Compass was launched by Wavell, the battle for North Africa was turned around almost overnight with the Italians being completely taken by surprise at the speed of the British build up. 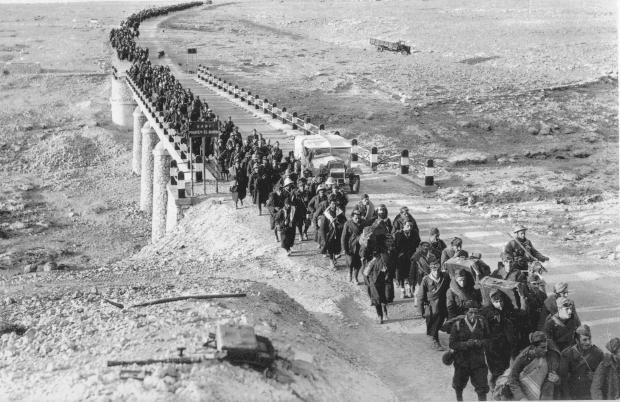 Within a two month offensive the British had captured 130,000 Italian soldiers and reached El Agheila where it was ordered to stop. It was in this first phase of the Desert War that supplies proved to be crucial to modern warfare and especially so in the case of the North African Campaign where the front stretched for hundreds of miles and was also very far away from the two main participating countries homelands (Britain and later Germany). In 1941 Allied shipping losses were very high, but as the Allies became more proficient at suppyling Malta and North Africa as a whole, these losses halfed in 1942 and both Naval and Air superiority were regained in the Mediterannean. Torbruk was able to withstand an eight month siege from April 1941 to December as supplies were delivered via the port and the Allied offensive in the Mediterannean became more and more effective throughout 1942 with the Italians losing 50% of their supplies at sea in December 1942. In 1943 the Axis suffered even more catastrophic losses in the Mediterannean with 1,200 ships being sunk; and �in february only 25,000 tons had arrived instead of the 80,000 required3: the effect on the Axis forces in North Africa certainly being decisive. The Afrika Korps were heavily handicapped by the fact that supplies did, at certain critical times in the campaign, dictate their strategy. Malta was a critical asset to the Allies and a grave thorn in the side for the Axis powers throughout the war in North Africa; it was the Allied success in keeping Malta supplied and therefore allowing Force K to effectively operate against the Italian Merchant Fleet that was the decisive factor in winning the North African war for the Allies. If Malta had fallen to the Axis powers as had Crete, then the Luftwaffe and the U-Boats would have had the perfect base from which to attack British supply convoys, control the Mediterannean and the ability to supply the Afrika Corps effectively with much less risk. During the pendulem war that continued over hundreds of miles between the Eighth Army and the Afrika Korps there was another critical battle continuing in the Mediterranean between the Italian Merchant fleet and Allied Submarines based at Malta aswell as the Surface forces at Gibralta (Force H), Alexandria (Force B) and Malta (Force K). This was to be a critical battle due to the distances involved in the fighting in North Africa, where supply lines grew longer and longer and fuel became more scarce due to the highly mobile warfare that was being fought. Both sides suffered from this style of warfare and this created the pendulem war referred to earlier with one army advancing too fast for its supplies to keep up, making it vulnerable, whilst the other shortens his supply lines as he is beaten back towards his base, which enables the counter offensive and so it continued. �The British bombers, torpedo bombers and submarines based on the island were exacting a merciless toll on the Italian merchant tonnage in the central Mediterranean4, which inevitably led to a very real weakness in Rommels Afrika Korps, with fuel and ammunition being rationed and the realisation that the Allies would soon have the numerical superiority pushing Rommel beyond the limits of his capability. There is a very clear relation between the events in the Mediterranean and the desert itself, as when the Axis forces virtually annihalated Force K at Malta, Rommel received his supplies and more importantly his armour, and was thus able to take the Eighth Army by surprise at Gazala in May 1942. Also in the latter half of 1941 the Allies enjoyed a period of �sustained Britih successes against the Axis supply route to North Africa... successes which were to have considerable importance for the future course of the fighting on land 5 Through Ultra decrypts the Allies �were able to speculate with some confidence about the state of the enemies which was without doubt a great advantage as possessing insight into the enemies weaknesses made it easier to predict his moves and allowed the Allies to exploit these weaknesses to the full. It was Ultra which denied all seaborne supplies to Rommel's retreating army and forced him to withdraw right into Tunisia 7 and this trend throughout the Campaign proves that the Allied ability to supply its Army, whilst preventing the Axis powers doing likewise, was the decisive factor in the North African Camapign in the Second World War.